Bohol is known as one of the tourist attractions in the Philippines with its pristine white sand beaches, centuries-old cultural heritage churches, natural wonder Chocolate Hills and its amazing and friendly people. Then , it suddenly changed when a 7.2 magnitude, intensity VII earthquake struck the whole island of Bohol on October 15, 2013 at 0812H, leaving a devastating view of what it used to be before. Greatly affected of the earthquake were the early colonial Spanish period established Roman Catholic churches. One of those is the famous and most visited Baclayon Church or the Church of our Lady of the Immaculate Conception. It is one of the National Cultural Treasures of the country. 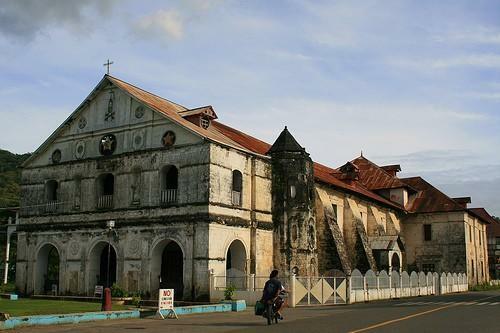 Baclayon Church is one of the oldest churches in the Philippines, built on 1595 by Jesuit missionaries. Look at Baclayon Church before, standing proud for 418 years. But now, it has been damaged. The facade and the belfry of the church have been turned to a pile of rubble. Famous for the river cruise is the town , Loboc. 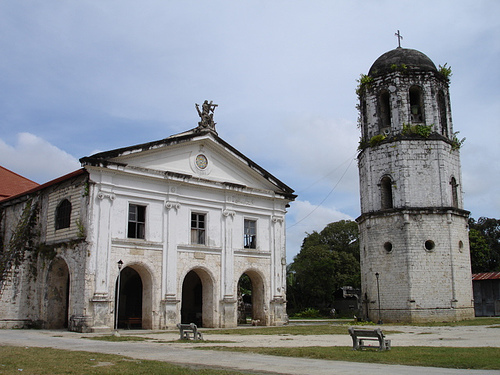 With pride, Loboc has the second oldest church in the province of Bohol. Loboc Church or the Church of San Pedro was originally built on 1602 but was reconstructed in 1638 after it sustained fire and was reduced to ashes. When you pass by Loboc, you can’t just ignore the amazing view of this church. Then the day came were we won’t be able to see this amazing view. The facade of the church fell down along with the centre of the structure leaving it into halves. 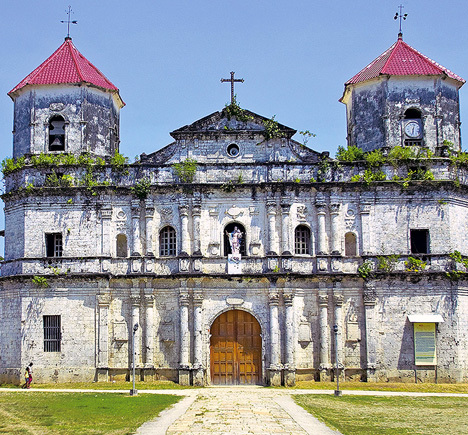 The biggest church in Bohol can be found in Loon. Loon Church or Church of Our Lady of Light has been standing for 260 years. Built in 1753 by Augustinian Recollects and was reconstructed fifty years later. I’ve been seeing this for 26 years of life. I feel relieved once I see the church when I pass by. There is something in this church that let me feel at ease and I couldn’t explain it. But after the earthquake, this view I will be seeing only on postcards and pictures on the net. Next to the town of Loon is Maribojoc. Maribojoc has also kept a treasure and that is their church. Maribojoc Church or Santa Cruz Parish has been established for 215 years. It was constructed on year 1798 and lasted for 18 years to complete the church. I visited this church when I had my Visita Iglesia during Holy Week. I always see this church whenever I go to the city, Yet another reason for me to weep to tears is I can see this no more. After the M7.2 quake, the church has turned into dust and stones. Even though it was crumbled to pieces, it sent a message to everyone that there is still hope and God will always be with us. Miraculously, the image of Mother Mary was left untouched and undamaged to consider that the image was inside the church. Loay which is located near Loboc has also been affected. The parish of Santissima Trinidad which was founded on 1815 is one of the most devastated houses of God. 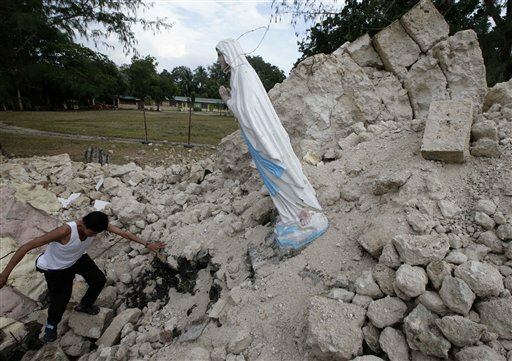 Other churches that have been damaged or destroyed were Tagbilaran City, Calape, Tubigon, Inabanga, and a lot to mention. These churches were not just ordinary churches but these were founded way back 1700s-1800s. Our churches may have been down and shaken but not our faith. Not only churches were damaged, also the popular tourist destination and the reason people keep on coming to Bohol, the Chocolate Hills. National highways have been destroyed too, as well as bridges have been cut-off that made it more hard to travel and send relief goods. Many areas have been isolated and the people are crying out loud for help. Many are homeless, hungry and thirsty. The towns most affected are running out of the basic necessities most especially food, drinking water, shelter, clothes, and medicines. Please help us. We badly need your help. We are knocking into your hearts to please help us rebuild Bohol. Let’s put aside our differences and stand side by side to help those in need. A plate of rice is more than enough to put a smile on a child’s innocent face. Photo credit to wikipedia.org and all netizens. For more photos of the earthquake in Bohol, visit Bangon Bohol page in Facebook. Here is Awit Sa Bohol.